Beacon Support’s residential rehabilitation services team is the perfect combination of knowledge and collaboration. Working with your individual needs and utilising all of our resources, our in-home care services aom to empower you to participate in the world and achieve your goals. No matter your disability or illness, our team will work with you to help you achieve success. Your residential rehabilitation services will be tailored to your needs to help you to build skills, experience and confidence to take on tomorrow. We work in collaboration with physiotherapists and occupational therapists, as well as any other healthcare professionals in your life. Our positive relationships and collaboration assist to provide you with the best quality service and results. As a registered National Disability Insurance Scheme provider, we can help you access any funding that may be available to you for your support and in-home care. It doesn’t matter what situation you may be dealing with, Beacon Support is ready to help you. We can also work in coordination with other services as required. You will work with our in home care services experts and community programs to deliver a plan created specifically for you. We will work with you, your friends and your family to create a safe, secure and supported environment that you can thrive in. 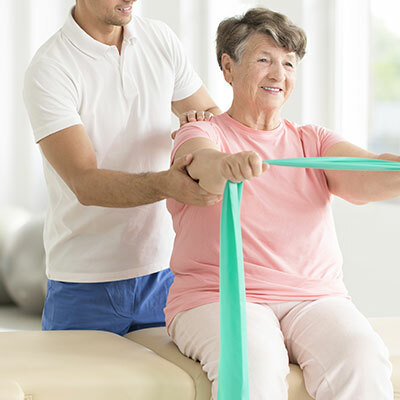 Our residential rehabilitation services are designed with you first in mind and are as unique as you are. All of our guidance and expert advice is based on our extensive industry knowledge and experience. We pride ourselves on the quality of the care and support that our residential rehabilitation services network can provide you. Call our in home care services team to learn how Beacon Support can provide you with residential rehabilitation services designed specifically for your needs.